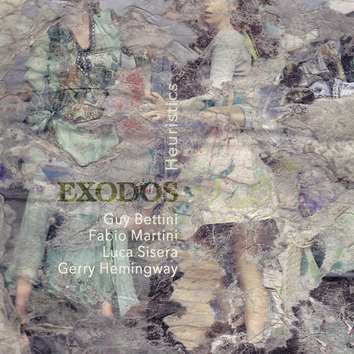 Exodos, this new ensemble, sets out to distance itself from the cliches that have characterized much of the European improvised music. Conceptual vision is less pronounced, the group offers fresh and dynamic music, "unprepared" in the most noble sense of the term. Stories, within which the genres (jazz, rock, blues, songs) blend into a sort of subtext in a continuous flow capable of giving back feelings and moods, lyricism and shining visions. Guy Bettini is on cornet and trumpet, Fabio Martini on clarinets and sax, Luca Sisera on bass and Gerry Hemingway on drums.